Hold fast to your marae, for it is your marae that makes you a whole a person. Urenui Pa holds a special significance for Ngāti Mutunga within Taranaki. 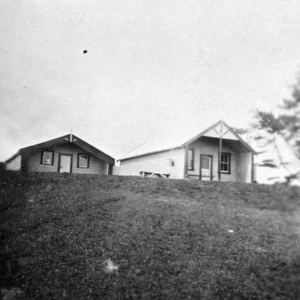 It is our only remaining marae and has been the focal point for Ngāti Mutunga Iwi activities since the early 1870s. It continues to be used for all Iwi events and Hui today. Urenui Pa is the site of the three most important taonga of Ngāti Mutunga. These are our ancestral houses of Mahi Tamariki, Te Aroha and Te Titohea. Mahi Tamariki and Te Aroha are both Wharenui and Te Titohea is the Wharekai. Urenui Pa remains the cultural heart and key gathering place of Ngāti Mutunga. Urenui Pa is administered by the Urenui Pa Trustees. The Trustees responsibilities are guided by Te Ture Whenua Maori Act 1993. To view the Urenui Pa Charter, please click here. The current site of Urenui Pa was originally part of the Urenui Reserve (total of 789 acres) awarded to Haami Te Maunu and 67 others. The West Coast Commission made the award in the early 1880’s following the wrongful confiscation of Ngati Mutunga’s lands. In 1868 a large number of Ngati Mutunga returned to Taranaki from Wharekauri (Chatham Islands) and lived at Maruehi (sometimes referred to as Maruwehi) – the current site of Urenui beach golf course. Maruehi was one of the original Pā of Ngati Mutunga and was also the place where our ancestor Mutunga was born. 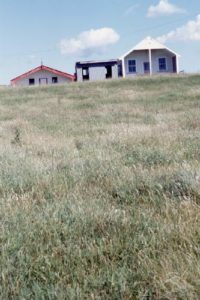 The Government was opposed to Ngāti Mutunga living on their confiscated lands as the Urenui beach area was viewed as a prime location for settlement. Official Government reports of the time described Ngāti Mutunga as squatters on Crown land. As a result of this attitude the Government moved Ngāti Mutunga from our traditional kainga/marae to the present Urenui Pā site. The area was formally gazetted as a Maori Reservation for the Ngāti Mutunga tribe on 22 December 1932 and the Maori Land Court appointed the first Trustees in 1942.